Arrow Mitsubishi has one one of the largest selections of new Mitsubishi cars and SUV’s for sale in Texas. Our Abilene Mitsubishi dealership inventory offers new and used cars, hybrids, minivans, sedans, hatchbacks and trucks. 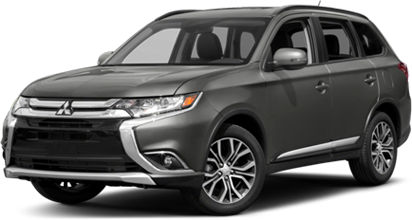 Our car dealership has the full lineup of new Mitsubishi models including Mitsubishi Lancer, Lancer Evolution, Lancer Sportback, Outlander and Outlander Sport. If you are shopping for new or used Mitsubishi in Abilene, near Sweetwater and San Angelo, Arrow Mitsubishi is the best car dealer near you. In addition to our large selection of new Mitsubishi vehicles, we also have many used cars and SUV’s in our Abilene Mitsubishi dealership inventory. We offer used car deals on pre-owned vehicles from a variety of automobile manufacturers, as well as certified used Mitsubishi for sale near you. See our best prices on used car specials in Abilene. We offer easy and affordable Mitsubishi leasing and financing at Arrow Mitsubishi. Auto dealership financing can simplify the process of buying or leasing new cars and SUV’s. Mitsubishi specials can help you save money. Ask about factory incentives and our Mitsubishi auto dealer dealer special offers in Abilene, Texas. The Arrow Mitsubishi Service Center in Abilene near Sweetwater, Brownwood, Stephenville and San Angelo, TX is staffed by certified auto technicians who understand your vehicle inside and out. We offer genuine Mitsubishi parts, as well as a full service body shop and Mitsubishi repair center. Our Mitsubishi Service & Repair Center provides everything from brakes, tires, oil change, battery, engine service and auto collision repair.